Evie and Clay have found a safe haven for now and spend their days training. A visitor from Evie’s past brings with him a ghost from Clay’s past. As revelations are revealed will they join the fight and help the fae? Will the bond they share be enough to keep them together, to keep them safe? I wasn’t sure what to expect from the third book in the Daughter of Fire series and what Michelle Irwin has given us, has completely blown me away! This book is more action packed than ever before and the risk to their lives is higher than you can possibly imagine. This book reveals so much more than the previous book in the series and without a doubt will have you questioning even more as you read on. At times you will even consider the true intentions and trust of those involved. From start to finish this book carries a lot of surprises, the suspense is stronger than in any of the previous books and creates an atmosphere of anxiety as Michelle leads you into the unknown. My heart was beating in my chest faster and faster each time I turned the page. It was clear this story would have an unanticipated ending, and without a doubt the ending came far too quickly and left me in a state of shock. This book is very emotionally charged, the love, admiration and connection Evie and Clay share is unbreakable and as they fight to survive, your heart aches, your heart breaks for these two people who deserve happiness and deserve to spend a life free of fear, worry and anxiety; they deserve freedom to be who they want to be, to be together. My love for Evie and Clay strengthened further in this book; they are two people I found a lot of love and admiration for, they are almost like family, I found myself wanting to fight with them, fight for them and protect them. Characters from the previous books also shocked me in this third book; I found a different side to them, a side I didn’t expect to discover and they now have a place in my heart. You will need to have read book #1 and #2 in the Daughter of Fire series to understand and enjoy Into the Rain book #3 of the series. I personally recommend reading the first two books in the Son of Rain series too. Clays POV also builds to the excitement and suspense of the story and answers some questions that Evie’s books don’t. 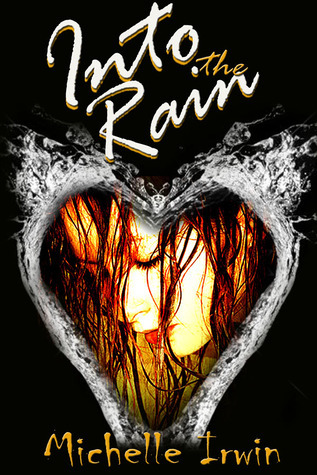 If you love paranormal romances with action, suspense and mystery or are looking for a paranormal romance with a difference you will absolutely love the Daughter of Fire series and the Son of Rain series by Michelle Irwin.